XPS 8900 add SSD - What partitions to clone? At first, the cloning failed because I only cloned the OS partition (it had 51GB of stuff at the time). I could not make it boot. After some experimentation I cloned the 1st partition (don't know what that was for) plus the OS partition. This worked just fine. Apparently, whatever is on the 1st partition is needed for successful boot. Can anyone explain what that is? But to carry the question further, what are the other partitions for? I don't want to lose anything important if something should happen to the 2TB HDD. Should those partitions also be cloned to the SSD. RE: XPS 8900 add SSD - What partitions to clone? I would want to save all of those in case I ever wanted to restore the Dell Factory Image. Thanks Chris. So apparently the EFI was the one partition I needed in addition to the OS partition. I just googled EFI and learned that it contains to boot information to make everything work under UEFI. I suppose that was something not needed in the old days when the OS partition used to contain the boot loaders. (right?). Okay...now about the recovery partitions: Do we know what they contain? Is this something I can just download, or burn to a DVD to have recovery software safe somewhere else? I assume Dell provides a method to do this. I just haven't gotten there yet. The first part sounds correct. I do not know the other questions or why it is split up like they are. Check this out. All the partitions are required. The 450 Meg Recovery and 500Meg EFI are created each and every time you reinstall from windows 10 media. Drive Letters DO not Necessarily relate to which is the 1st, 2nd, 3rd partition. I know this is windows 10 and not Vista or 7 or 8 because of the size of the MSR. 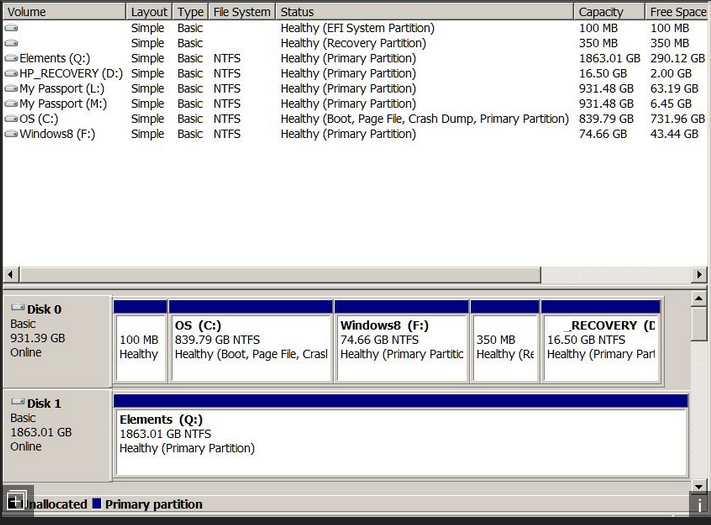 The 12 Gig partition is the Dell Backup and Recovery Partition. recovery. If you delete the 12 gig partition DBAR will fail. If you change the structure or size of any partition this permanently breaks factory restore. Some Models have a tiny 100 meg FAT32 DIAGNOSTICS PARTITION.